Researchers from the Osaka City University in Japan have developed a way to use egg whites as a substrate to produce a carbon-free fuel. They published their results on February 2nd in Applied Catalysis B. "Hydrogen is a promising fuel and energy storage medium because hydrogen emits no global warming gas when used. Nevertheless, hydrogen generation reactions usually require fossil fuels and emit carbon dioxide," said Hiroyasu Tabe, research associate at the Graduate School of Engineering at Osaka City University in Japan. 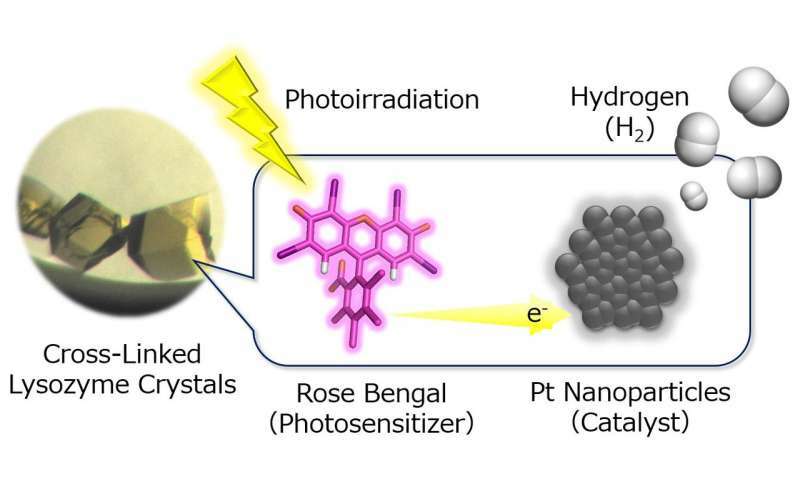 According to Tabe, it would be extremely efficient to use a photocatalyst to speed the reaction of hydrogen generation from a renewable source, such as solar power. Called hydrogen evolution, the gas must be stored and kept from recombining into more common molecules that aren't useful for producing clean fuel. "Precise accumulation of molecules acting as catalytic components are important to construct a photocatalytic system," Tabe said. "When the molecular components are randomly distributed in the solution or formless compounds, the catalytic reactions cannot proceed." One promising way to accumulate these catalytic molecules is through the production of pure proteins by cultivated bacteria, but they require special lab equipment. Chicken eggs, however, are well-known vessels of protein-based chemicals. The whites of chicken eggs, which are inexpensive, and consist of porous lysozyme crystals. "Lysozyme crystals have a highly ordered nanostructure, and we can manipulate the molecular components when they accumulate in the crystals," Tabe said, noting that the crystal structure can be easily analyzed with X-ray technology. This analysis is of particular importance, according to Tabe, because the molecular components within the crystals must be manipulated precisely through what is called cooperative immobilization. This is achieved by the application of rose bengal, which is commonly used as a dye in eye drops to identify damage. In this case, it entered the solvent channels in the lysozyme crystals and accelerated the hydrogen evolution reaction, since the functional molecules and nanoparticles can be accumulated within the crystals' inner spaces. 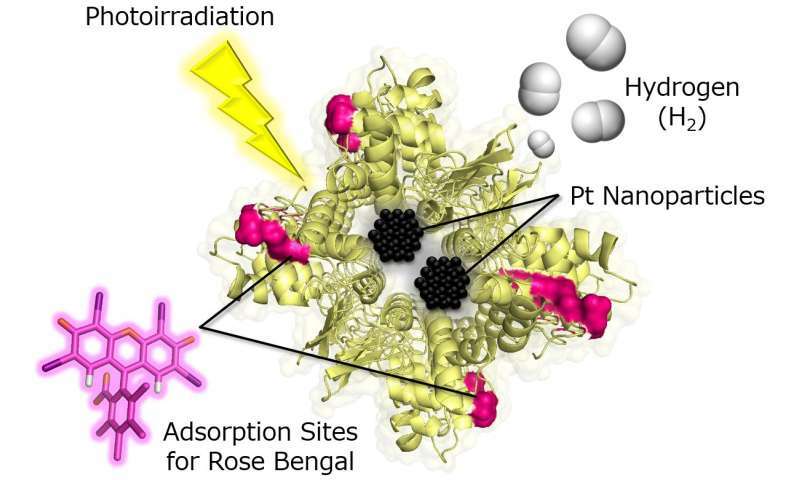 "These results suggest that porous protein crystals are promising platforms to periodically and rationally accumulate catalytic components by using molecular interactions," Tabe said.